Thiruvananthapuram: Kerala based public sector undertaking HLL would establish around 100 Hindlabs in 33 districts of Maharashtra as part of expanding its Hindlabs chain of pathology and imaging facilities in the country. 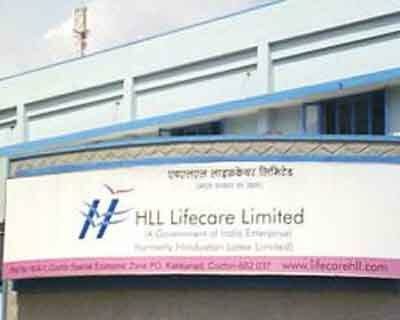 HLL Lifecare Ltd (HLL), a ‘Mini Ratna’ PSU of the Union Ministry of Health and Family Welfare has signed an agreement with the Maharashtra government in this regard, a company release said here today. The agreement was signed by R P Khandelwal, CMD, HLL, Pradeep Vyas, Commissioner and MD, State Health Service and Sathish Pawar, Director of Health Services, Mumbai recently. As part of the agreement, HLL, will establish around 100 Hindlabs in the 33 districts of Maharashtra for providing laboratory testing services to the public in nearly 2,300 government hospital centres under DHS, more particularly at the level of Primary Health Centres. HLL will implement the project within a period of 90 days and commence the lab services to the general public. The project will be monitored on real time basis by IT-enabled systems which track the details of patients samples collected from the collection centre to the lab for testing and reporting. The latest module of Laboratory Information System software will be used for the project to create an online dash board to view the current status of sample collection, testing and reporting from all the government hospital centres in Maharashtra. “By implementing this project, diagnostic tests will be made available to the public in the remotest villages of Maharashtra. The state-of-the-art labs of HLL, equipped with sophisticated equipments, qualified manpower and IT-enabled support systems, will ensure the quality of laboratory investigations,” Khandelwal said. “The PHCs and rural hospitals have limited laboratory infrastructure for diagnostic tests. HLL is trying to bridge this gap by establishing laboratories near such hospitals with all the divisions like haematology, pathology, biochemistry, and microbiology,” he noted. HLL is implementing similar projects in states like Assam, Kerala and Odisha, partnering with National Health Mission. Hindlabs offers more than 100 tests from the hospital centres, including the high end special molecular diagnostic tests, at rates much lower than market prices.